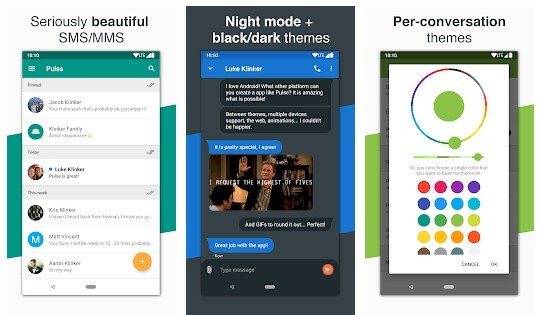 There are lots of text messaging app available on the Google Play Store and each of them comes with its own unique features. So, here in this article, we are going to share some of the best texting apps and SMS apps for Android that will make your texting experience much better. We got to admit that texting is right now the most popular ways to communicate in the whole world. 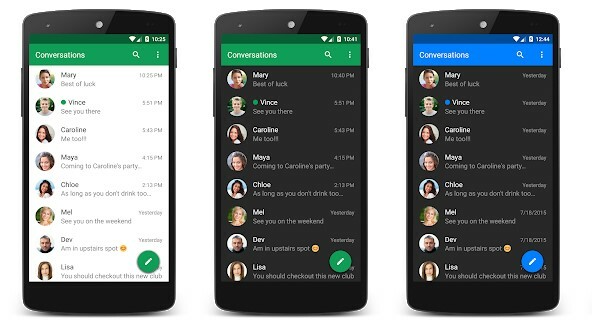 In fact, there are lots of Android messaging apps available on the Play Store that allows users to exchange messages. Messaging seems to be a more easy option compared to making phone calls. However, Android users still rely upon the default text message app that comes with the smartphone. The default text messaging app for Android works great for sending and receiving SMS, but if you want more features, then you need to switch to the third party messaging app. 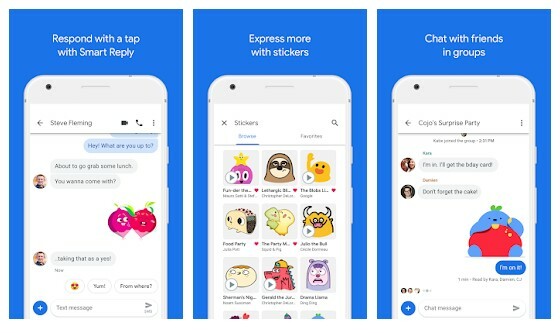 There are lots of text messaging app available on the Google Play Store and each of them comes with its own unique features. So, here in this article, we are going to share some of the best texting apps and SMS apps for Android that will make your texting experience much better. So, let’s have a look at the best text messaging apps for Android. 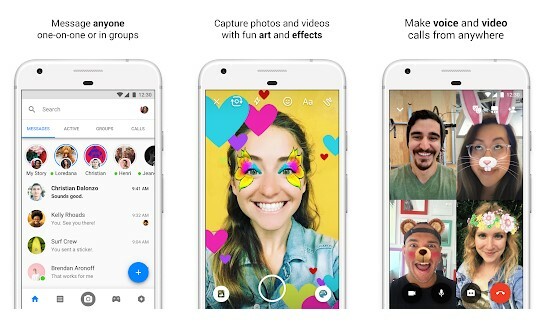 Well, Android Messages is one of the most used and popular messaging apps by Google. The messaging app is capable enough to replace the default one from your smartphone. Android Messages offers a material design which looks good and it has almost all the features that you need for messaging needs. Apart from that, the app also offers users multiple theme option. Well, if you want to use the old Android messaging app, then you need to try Chomp SMS. Chomp SMS is one of the oldest messaging app available on the Google Play Store that offers users lots of features. The best part of Chomp SMS is that it allows users to filter numbers that means you can block and unblock numbers. Apart from that, the app also offers a quick reply option in the notification panel. Facebook Messenger is yet another messaging app that can display messages from Facebook as well as from your inbox. Actually, Facebook messenger replaces the default SMS app from your smartphone. The interface of Messenger is pretty good, but it consumes lots of battery, storage, and RAM. So, if you are having a low-end smartphone, then Facebook Messenger might create few problems. Handcent Next SMS is yet another best SMS app for Android that comes with lots of interesting features. The great thing about Handcent Next SMS is that it offers a privacy box which you can use to store private conversation. Apart from that, the messaging app has support for eCards, emojis, SMS Backup, etc. So, Handcent Next SMS is another best text messaging app that you will love for sure. Well, if you are looking for an SMS app that allows users to send SMS from PC, tablet and other devices, then Pulse SMS might be the best choice for you. The app allows has a web version which you can use to send text messages from the computer. Apart from that, Pulse SMS packs almost every feature that a messaging app needs. QKSMS is another popular title on the list that offers lots of valuable features. 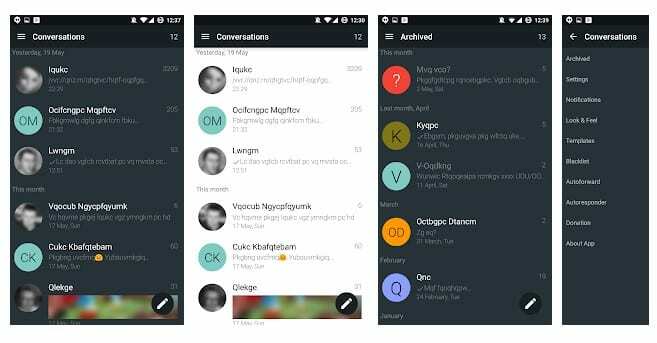 This is an open source messaging app which is known for its privacy and security related features. The interface of the app is pretty amazing and it’s completely ad-free. Apart from that, the app also offers a night mode and a few other customization options. So, QKSMS is another best text messaging app which you can use today. 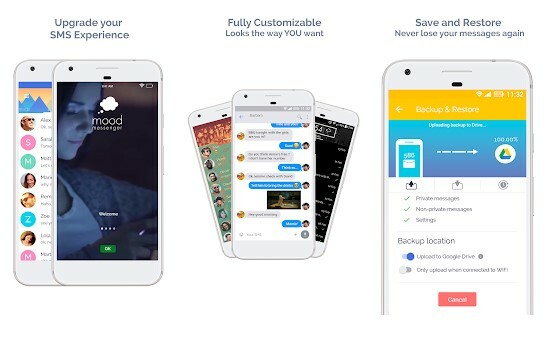 If you are looking for a lightweight version of Facebook Messenger, then Mood Messenger might be the best pick for you. Guess what? the app packs almost every feature that you need for better messaging experience. Just like Facebook Messenger, Mood Messenger also supports chat heads. Apart from that, the app brings lots of settings under the customization and theming. 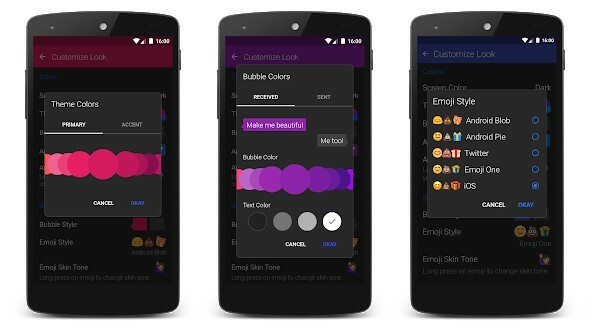 So, Mood Messenger is definitely the best Android text messaging app that you can use today. 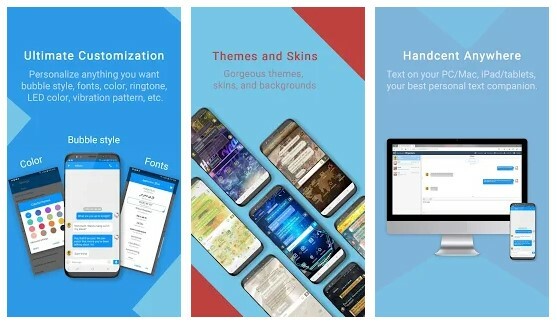 If you are looking for a stylish messaging app for your Android smartphone, then Textra SMS might be the best pick for you. The app is known for its interface and it also offers lots of customization option. Apart from that, the app also has support for floating notification, delayed sending, slide to delete, etc. So, Textra SMS is another best text messaging app that every Android users would love to have. YAATA SMS is another great text messaging app that you can use on your Android smartphone. The best thing about YAATA SMS is that it provides users lots of useful features like scheduling messages, auto-responses, backups, blacklisting, etc. 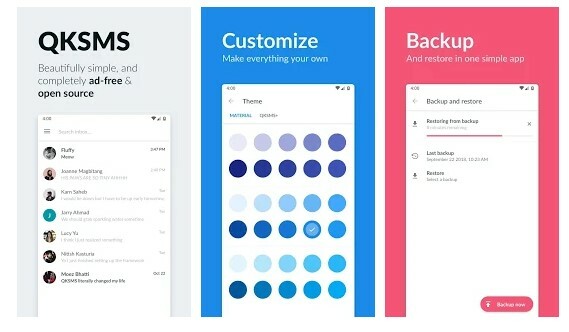 Apart from that, the app has a Material design which looks great. 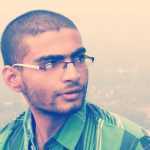 So, YAATA SMS is another best SMS app that you can use on your Android smartphone right now. Signal Private Messenger is pretty much similar to the Hangouts, Facebook Messenger, WhatsApp, etc. However, Signal Private Messenger is meant for those users who give security the utmost priority. For those who don’t know, Signal Private Messenger also works on a phone number and if the receiving person doesn’t have Signal Private Messenger installed, then it will send a text message. 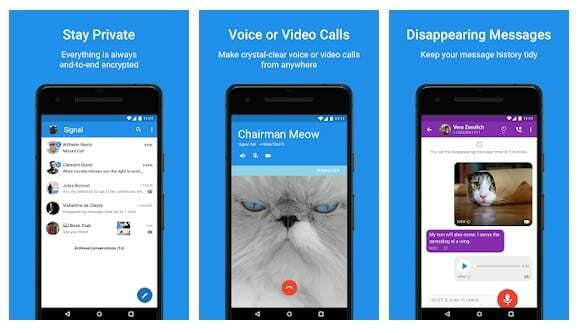 So, Signal Private Messenger is another best Text & SMS apps for Android that you can use today. So, these are the 10 Best Android text messaging app that will enhance your texting experience for sure. If you know any other app similar to these, then make sure to drop the name in the comment box below.